Ursula Leguin and "the realists of a larger reality"
"I think hard times are coming when we will be wanting the voices of writers who can see alternatives to how we live now and can see through our fear-stricken society and its obsessive technologies to other ways of being, and even imagine some real grounds for hope. We will need writers who can remember freedom. Poets, visionaries — the realists of a larger reality. " As she has been for so many years, Ursula Leguin speaks once more to the core for me. I've visited numerous times every world she has shown us, and one thing she has always shown are the infinite possibilities of the imagination and human culture, brilliantly reasoned out through the eyes of the anthropologist's daughter that she also is. I have travelled with her through worlds of vast introverted solitude, where a young girl must be alone to "make her soul" in "The Birthday of the World" collection. I've visited a world in the midst of an Ice Age, and come to love a pragmatic hero who is also a hermaphrodite, neither male nor female on a world without gender, in "The Left Hand of Darkness". 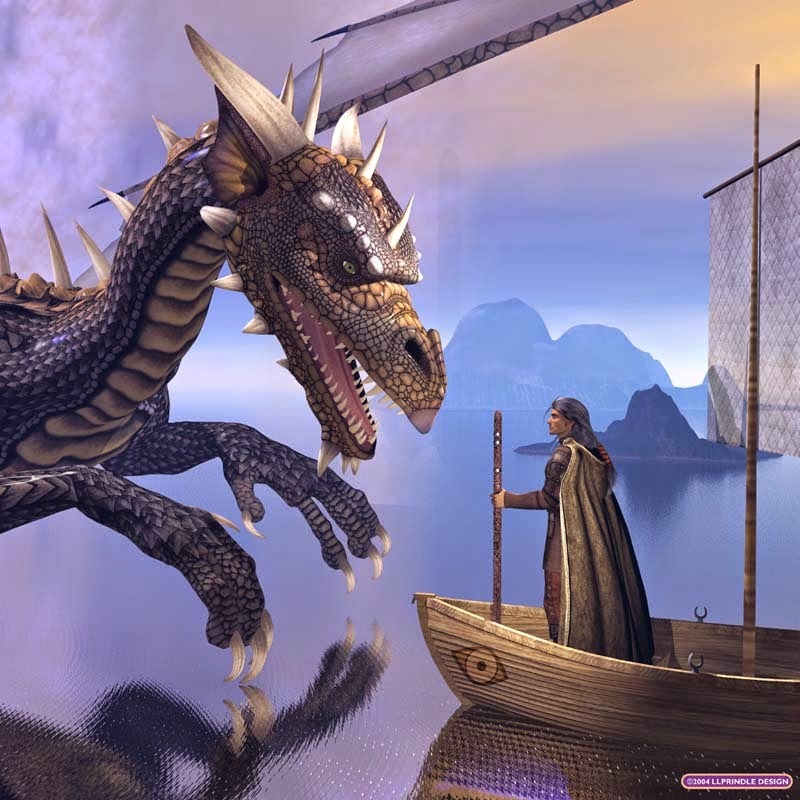 I've visited Earthsea many times, and watched the coming of age of the mage Ged, who can talk with dragons, and must learn not only about power, but far more importantly, he must learn about the uses of power, about maintaining the Equilibrium, becoming attuned to the balance of the world. And in "Four Ways to Forgiveness" I've seen two worlds come apart and re-form as millenias of slavery is ended, and former slaves and owners must also find their personal salvation in the midst of a vast human revolution. In "May's Lion" I saw the visit of a lion, coming to the home of an old woman in order to die, from the perspective of not only an old American woman, but an old Native woman who knew that she had been honored, because he came to her to open that way. Thank you, Ursula, thank you for making it possible for me to visit those worlds, to escape my own when I needed to, to see with your words the infinate possibilities of human experience. Her "view from the Ecumen" has helped me time and again to gain a view of life here on Earth. I still find it hard to write myself, so I will share her 2014 National Book Awards speech again. It is a call to artists as well as writers, and I felt, on the precipice of a new year, it is relevant even more. She says what I have so many times thought, especially recently - how "money sick" everything has become. 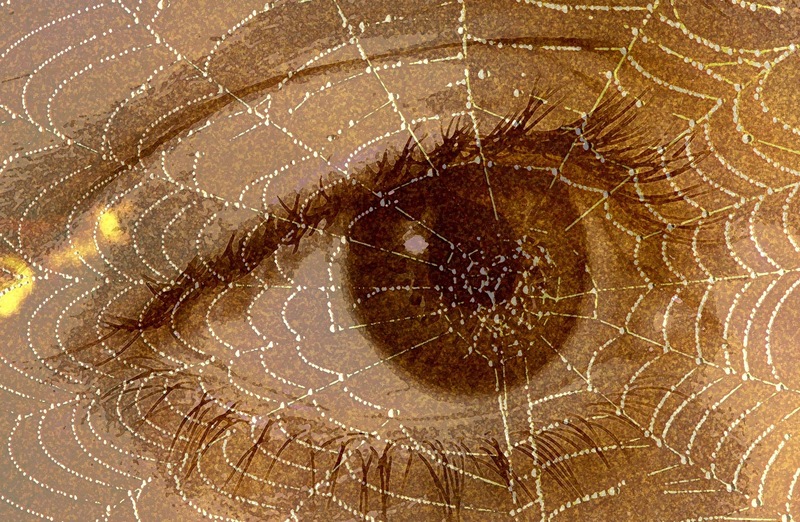 We have lost the Equilibrium of consciousness of the whole, of a "webbed visions". May this year coming be the seed of a turning of the way. "But the name of the beautiful reward", Leguin says, "is not profit. Its name is freedom." The freedom to create uncensored, internally or externally, by the demand that what is created somehow be justified, it's "value" determined, by how much money "it" can make. Which is no "real" evaluation of success at all, any more than the "success" of corporations has anything to do with preserving our planet's future or quality of life for us. Capitalism has become an oppressive force indeed, a force that can literally destroy the world it it's souless quest for profit. We need to put money "values" outside the door when we enter the house of creative integrity - otherwise it's like a loud cacophony of endless commercials, nattering away, obstructing any capacity to hear, see, know, be "en-souled". My house, of course, is full of art, 45 years of it, and being an AIRBNB host, I"m always amazed at how very rare it is for those who come here to comment or acknowledge it. I've often said to myself that I could hang mops on the walls for all most people would be aware of the art.......which belongs, perhaps, to another conversation. To keep myself from feeling defensive about being an artist, I almost never attempt any longer to talk to my guests about my "other life" as an artist.....as if being an artist was never a "real job". Ah..........But when young artists come to my home, I find I'm disappointed for another reason. Which is how rarely any of them ask about the work - what it means, what it derives from, even just how I made it. I find most of them ask about shows, ways to promote work, what kind of prices I get....... how, in other words, did I make money from my work and can I help them to do so. I've never said this out loud, but so very few seem to see that artwork is a Conversation, one I so often wish I could share with others. Paintings are doors into some other dimension, windows into story. In the babble and preoccupation with money, so many voices are never heard. What wealth, if money was left outside the door like our shoes so as not to soil the space........what wealth might be found in the creative language being spoken on the walls or streets of many places, what dialogues might be shared about the impulses from which they sprang? I rejoice at accepting it for, and sharing it with, all the writers who were excluded from literature for so long, my fellow authors of fantasy and science fiction—writers of the imagination, who for the last 50 years watched the beautiful rewards go to the so-called realists. In The Songs of Trees: Stories from Nature’s Great Connectors (public library), Haskell proves himself to be the rare kind of scientist Rachel Carson was when long ago she pioneered a new cultural aesthetic of poetic prose about science, governed by her conviction that “there can be no separate literature of science”because “the aim of science is to discover and illuminate truth,” which is also the aim of literature. For the Homeric Greeks, kleos, fame, was made of song. Vibrations in air contained the measure and memory of a person’s life. To listen was therefore to learn what endures. Haskell visits a dozen gloriously different trees from around the world — from the hazel of Scotland to the redwoods of Colorado to the white pine of Japan’s Miyajima Island — to wrest from them wisdom on what he calls “ecological aesthetics,” a view of beauty not as an individual property but as a relational feature of the web of life, belonging to us as we to it. (Little wonder that trees are our mightiest metaphor for the cycle of life.) From this recognition of delicate mutuality arises a larger belonging, which cannot but inspire a profound sense of ecological responsibility. From the weekly digest of brainpickings.org by Maria Popova. Check out her special edition celebrating 11 years of Brain Pickings here. And if you'd like to support her wonderful newsletter, please consider making a donation. This painting says "past desire, ambition or grief, I rest in You, a seed." 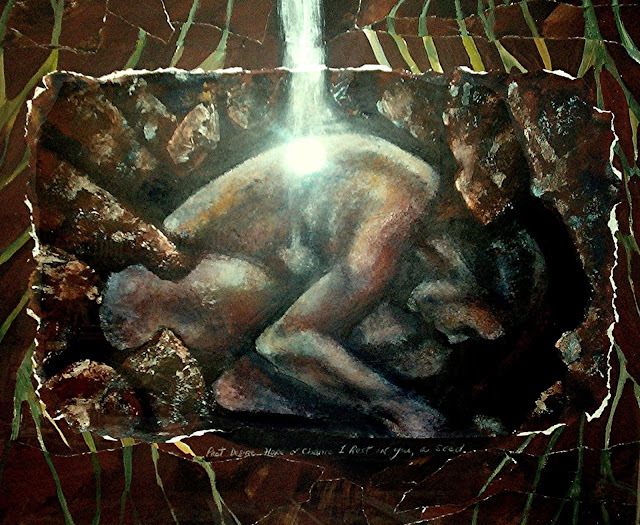 "You" means the Earth, and this was one of my "incubation" paintings. The Meditation/Ritual below is something I wrote and included in a performance in 2002, the "Ritual of Endarkenment". In our driven, technological, left-brain, materialistic world, we place an emphasis on "Enlightenment". 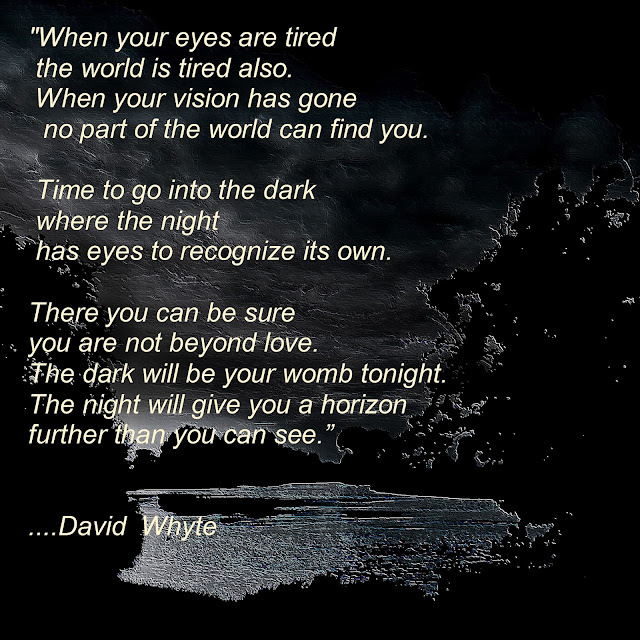 Here is a reflection I wrote a long time ago, a descent into what the poet David Whyte called "Sweet Darkness". The sleeping figure is entwined with all other life, and a shaft of water, or perhaps light, nourishes the dreaming figure that waits for the season of new beginnings. How did we ever come to conceive of ourselves as apart from the cycles of nature and time that all other living beings experience? 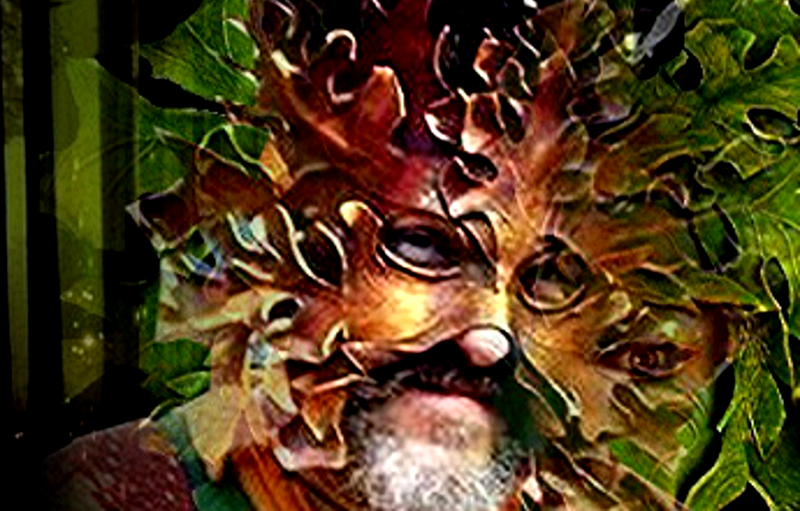 Perhaps that was the true Original Sin, when the patriarchs began to invent religions and philosophies that made us "apart" from the cyclical, magical animals we are, among so many other kinds of magical animal beings. Yes, I think that is what "sin" means to me. unseen, holding you to your origin. I was trying to put the picture above where it is, and I noticed that it had copied twice. I was just about to delete the second photo, when I realized that it formed a circle - half of the circle going into the shadow, or "underground". A perfect symbol for what I think the emergent paradigm must be. Integral. Light and Shadow. A Circle. Then I realized that the circle extended on either side of the "picture plane" into infinity...........like the rainbow, it forms another Circle, perhaps invisible to the viewer, but existing in some other dimension of time and space. 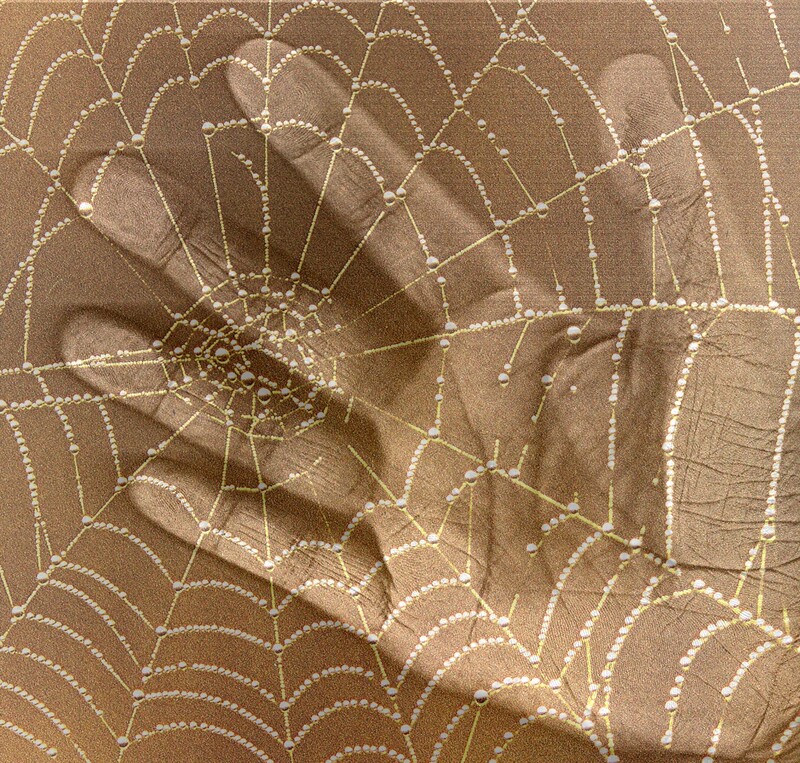 In my experience, Spider Woman, Midwife for the "5th World" which has just begun according to the Hopi, speaks to us in metaphors and in synchronicities when she casts her threads. Especially on the numinous day of the Solstice. "In America, we have mixed bloodlines, "rainbow blood". I've always conceived of the Rainbow as actually being a circle. Half of the rainbow disappears into the ground, into an underworld realm, where it exists beneath the Earth, hidden, but present. Perhaps, what we're given now is the means to seed a rainbow vision." In the ritual work I've done in the past, we honor the 5th, and last, element, which is white, the element of aether, the element that unites and unifies all the other elements. The "warp and weft" underneath, the loom. The 5th world, it seems to me, is about the revelation of Unity as the underlying truth of the cosmos, the ecology of our planetary body, our Mother Earth, and of our human lives. Spider Woman's revelation, I believe, is to be found in the traditional Lakota prayer "Mitakuye Oyasin" (All Are Related). Years ago I was enjoying a panoramic view of the Sonoran desert. I happened to be sitting near a spider web, stretched between two dry branches. I realized, by shifting my point of view, I could view the entire landscape through the web’s intricate, transparent pattern…..a landscape seen through the ineffable strands of an almost invisible web. A Webbed Vision. 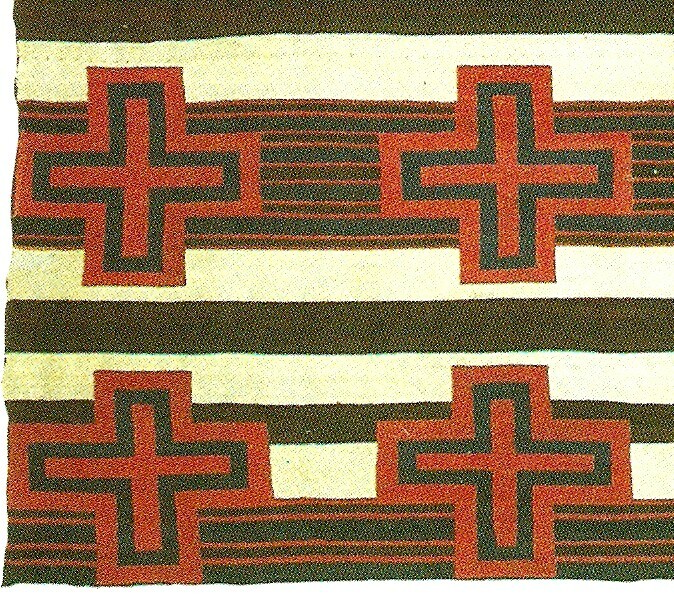 Mitakuye Oyasin. conscious weavers of the stories we tell about ourselves and our world. Are we truly alone, doomd to ever be little warring tribes, or "staunch individualists" in constant conflict with each other for resources, power, or because "my god is better than your god"? Is this really "human nature"? Are there other models or options? Another lens from which to view the evolution of humanity? Because, if you think about it, a civilization is not the wars of destruction of conquerors, but a vast consensus of collaboration and shared creativity. 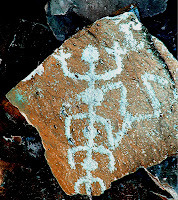 The farmers, builders, artists, crafts people, midwives, bakers, teachers........that is what a civilization really is. Are we now consigned to be alienated individuals living in an urban jungle, with cynicism as the only appropriate response? Am I victim, weak, powerless, needing to cling to destructive relationships or circumstances because I have no other choice? Or are there other options for the stories we weave our lives with, the stories that we pollinate the future with? "What stories do I want to live?" 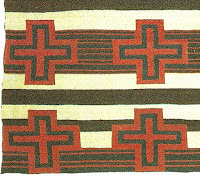 Among the Dine`, weaving is viewed as a spiritual practice, a sacred art. Many rugs are left with a small flaw, to "honor Spider Woman", the only weaver whose work is can be perfect. 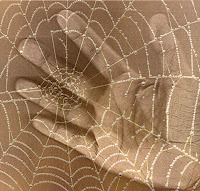 And to this day, a bit of spider web is rubbed into the hands of female infants, so they will become "good weavers". If indeed the 4th age has ended, and we are now in the beginning of the 5th Age, in spite of the fear and chaos and corruption, the backlash and anger, we are seeing, I believe it is so very important to find ways, now, to "tell the new stories". 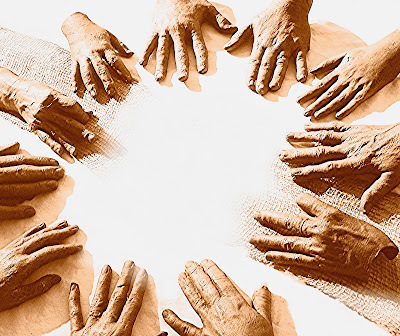 We must carry the hope and the means for others to experience a "Webbed Vision" of interdependancy and belonging. A Webbed Vision of humanity in all of its diversity, strife, creativity, challenge and history (which must now include her-story as well) part of a larger whole. Time to weave a new Web. What good is despair? The work is ahead of us, the dawn comes. "The art of weaving is a profound metaphor for understanding the workings of the universe and our place in it. Through the physical process of weaving, we gain a better understanding of this world and how we as human beings are woven into it. We are bound to our bodies with the fragile threads of earth. Our skeleton is a loom on which every system is strung and woven. The meeting of opposite elements woven into a whole is the quest of many seekers to find meaning in their life. The art of weaving is the essential art of creating the unified one of two opposites. 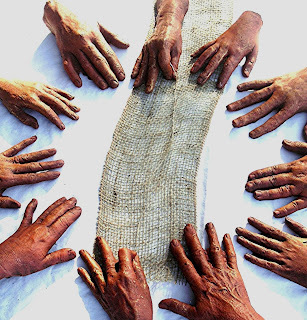 Archaeological findings suggest that weaving is at least 20,000 years old, but because weavings are so organic and biodegradable, no physical evidence this old has been obtained. 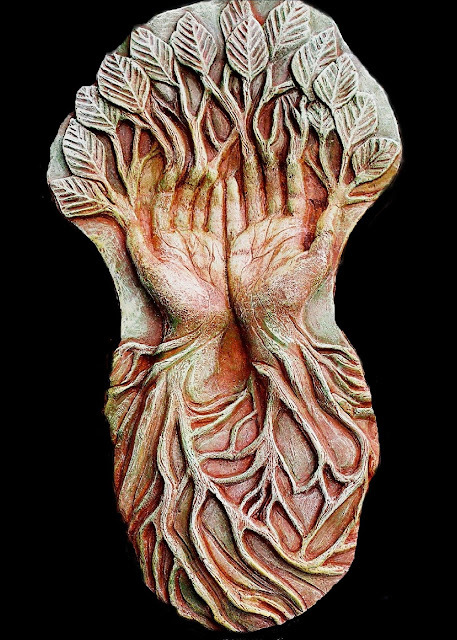 In this Solstice celebration we envision honoring the interconnectedness of our humanity as we move forward with the return of the sun." 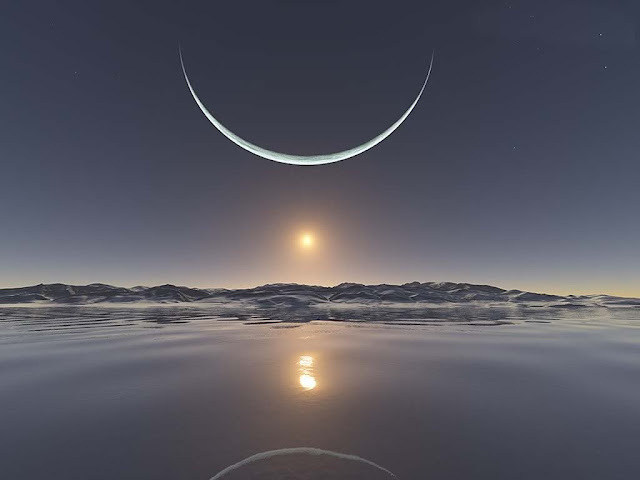 As the shortest day of the year, the winter Solstice marks the turning from the cold, dark days of winter to the warmer, lighter days of spring and summer. Historically, this season is a time of reflection, renewal, and community celebration. ZUZI! Dance production and local dancers, aerialists, musicians, and from the Tucson performing arts community and the weaving community will host this show. This collaborative effort highlights the elemental qualities of weaving. 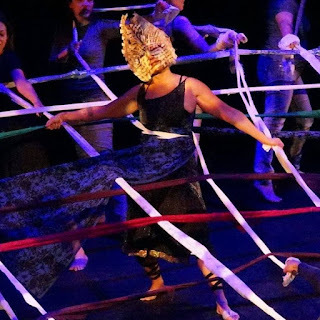 “Woven” is directed/choreographed by Nanette Robinson, with special guest artist and choreographer Mirela Roza and Navajo weaver Marlow Kutoni. During the performance there will be lobby demonstrations by Tucson Handweavers and Spinners Guild. In addition to the dancers in the cast, ZUZI! Dance holds a youth aerial workshop and a community workshop that are open to anyone to learn a piece of choreography to perform in the show. This year woven into the the community piece is the newly formed dance company, Dansequence, Karenne Koo, Director. These Solstice Community Workshops have been a long-standing tradition for ZUZI! to create a space and opportunity for people of all ages and abilities to work, move, learn and grow together. Participants have ranged in age from 7 to 72. This multi-generational approach to dance is rooted in ZUZI!’s belief that individual perspectives shared and shaped with others creates a healthy community. We will be hosting a gallery fiber arts display from local and regional weavers that will be on sale. A portion of proceeds from sales will go to ZUZI! Dance. ZUZI! will be accepting donations for Sister Joses Homeless Shelter for Women of sweaters, scarves, socks, hats, gloves. Bring a donation and you will receive a $2 discount for show. "We’ve rolled back the night so far that soon we will come full circle and reach the dawn of the following day. And where will that leave us? In a world with no God and no wolf either — only unrelenting commerce and consumption, information and media ... and light. We need a rest from ourselves that only a night like the winter solstice can give us." I remember a winter night many years ago, when I lived in the country in upstate N.Y.. I shared a house with a second story living room that had a big picture window, A mid-winter snowstorm had left us stranded in a shimmering blanket of snow. One could look out on that field of white, illuminated by the dark sky, the moon, and an occasional star, into a vast, dark silence. For a while the lights went out, but we had no shortage of candles, and somehow that makes the memory even sweeter for me. The intensity of the dark and the silence the snow that long ago December was not frightening, but intimate, a landscape for sleep, for the incubation of dreams, a place to heal from the frenzy of achievement and obligation, a darkness ripe with dormant life. A place where we could lie together in the warmth of our bed, becoming aware of the occasional sound of snowfall, or an animal moving outside. I remember recently seeing a time lapse film of cities - vast networks of light, sky scrapers and traffic rushing along freeways like blood coursing along arteries, and I was struck by how much it looked like some kind of organism frenetically pulsing and extruding itself and consuming everything around it. The truth is, it had a terrible beauty - the shimmering, glittering urban triumph of humanity over nature, over the darkness. Or is it? In the years since, I have so often thought of those winter nights. I take the liberty of reprinting here a wonderful article by Clark Strand, whose book is well worth reading. He has had such nights too, of that I'm sure. Conrad Bishop on "Why Make Art"